Present state: The wall at the main entrance on the west side of the line and remnants of station platforms and fence posts survive. The base of the waiting shelters can also be seen. Notes: Clubmoor station opened on 14 April 1927. It was situated on the Cheshire Lines Committee (CLC) line that ran between Halewood and Southport Lord Street which opened in two stages, first between Halewood and Walton-on-the-Hill on 1 December 1879 (and through to Huskisson Dock opening on 1 July 1880) and from Aintree to Southport on 1 September 1884. The line connected with the CLC Liverpool and Manchester route at Halewood providing links with Liverpool in the west and Manchester to the east. The CLC was a joint line that since 1923 had been two-thirds owned by the London & North Eastern Railway (LNER) and one-third by the London, Midland & Scottish Railway (LMS). When the line had opened there had been little but fields at Clubmoor. After the Great War Liverpool Corporation began a programme of house-building to the north-east of the city. By the mid 1920s the area around Clubmoor was a large housing estate containing many thousands of people; the CLC opened Clubmoor station to serve the estate. 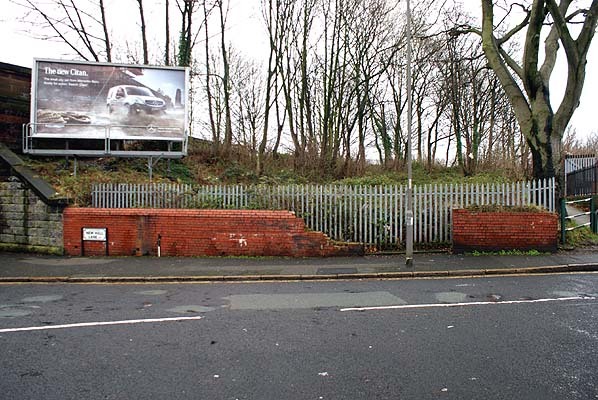 Clubmoor station was on an embankment south of Broad Lane. Liverpool Corporation already operated a tramway to Clubmoor with its terminus adjacent to the line on the west side of Townsend Lane (a short distance from the station), so the CLC must have realised that use of its station by local people to travel into the city centre would be limited. The station was more likely to have been provided so that the Clubmoor residents could reach destinations along the line to Halewood and eastwards towards Manchester, but particularly to Southport - a popular day-trip destination. The station was approached by ramps up from Broad Lane on each side of the line. The platforms had timber faces backfilled with cinders and topped with crushed stone. On the down (Southport-bound) platform was a simple single-storey building with pitched roof. It was constructed from stone blocks and had a pitched asphalt roof. Half of the building was given over to a booking office and the rest was a simple waiting shelter open to the platform. A similar building on the other platform was a waiting shed only. At the northern end of the station the platforms were linked by a barrow crossing. Since the booking office was on the down platform the CLC presumably had in mind day trips to Southport as a primary reason for providing the station. South of the station, on the east side of the line, was a small signal cabin that had opened on 21 March 1907. It was used only on Aintree race days when the line was very busy. 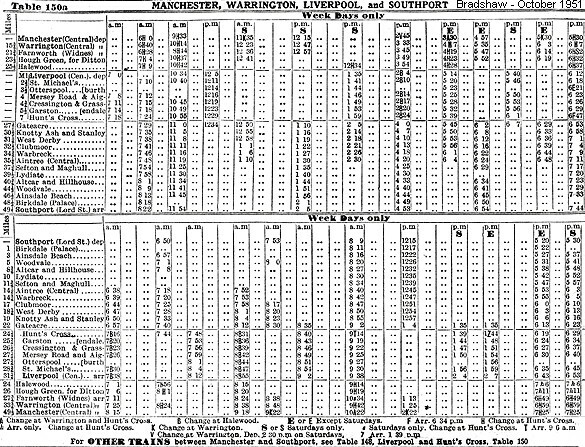 The summer timetable for 1932 showed Clubmoor as having ten up and ten down trains on Monday-to-Saturday. There were two in each direction on Sundays. All of the down trains operated to Southport Lord Street. As well as the scheduled services excursion trains also ran from Clubmoor in the 1930s. During the Second World War passenger services on the line were cut back. The route through Clubmoor was of national strategic importance as it provided a link between Britain’s western gateway (Liverpool Docks) and the rest of the country. The line was extremely busy, freight trains running day and night almost in convoy. The only exception with regard to passenger services was between 24 December 1940 and 5 July 1941. Heavy bombing had damaged the extremely busy commuter line between Southport Chapel Street and Liverpool Exchange at the Liverpool end of the line. To enable Southport commuters to travel into the city and return home each day extra trains were provided between Liverpool Central and Southport Lord Street. The journey would have taken much longer, but it allowed the city to continue functioning. These trains would not have called at Clubmoor. On 1 January 1948 the CLC became part of British Railways London Midland Region. The summer timetable for 1948 showed Clubmoor as having ten up and eight down trains on Monday-to-Friday as seen in the table below. There were eleven up and eight down on Saturdays and four in each direction on Sundays. The station platforms were reconstructed sometime after 1948 in concrete prefabricated sections. British Railways installed totem name signs at Clubmoor. On 6 July 1954 the signal cabin at Clubmoor was closed and demolished. Clubmoor was left with a scheduled train service that ran in the main between Aintree Central and Manchester Central. By the summer of 1957 its service had been reduced to only three up and three down trains Monday-to-Saturday as shown in the table below. With the last up departure being at 8.21am and the first Monday to Friday down departure being at 6.02pm the service was next to useless for anything other than work journeys. It came as little surprise when British Railways proposed the withdrawal of the service in 1960. 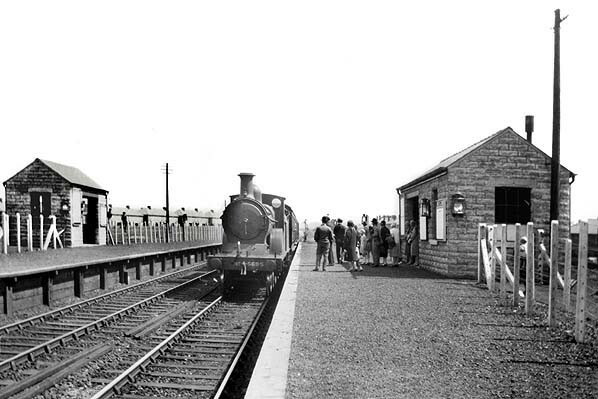 The last regular trains to serve Clubmoor ran on Saturday 5 November 1960 and the station closed completely on Monday 7 November 1960. Being of simple construction the station was demolished after closure leaving little trace. The line itself was used by Grand National race day excursion trains until 1963; it then went into decline. On 22 September 1968 the line between Fazakerley South Junction and Aintree Central was taken out of use leaving only the goods services to and from Huskisson. On 30 November 1969 the line through Clubmoor between Walton-on-the-Hill and West Derby was singled. By 1973 there was only one daily freight working from Edge Hill to Huskisson and return; it had ceased by August 1975. By this time the Merseyside Passenger Transport Authority had come into being. Based on plans been drawn up by the local authorities in the 1960s the line through Clubmoor took on a new significance. It was proposed that an outer belt line be created along the former CLC North Liverpool Line and it was actually authorised by the Act of 1971. Although many of the lines proposed in the 1971 Act were created the economic downturn of the late 1970s and early 1980s ended hopes for the belt line scheme. British Rail lifted the line between Huskisson and Hunts Cross in the early months of 1979. In the late 1980s a footpath and cycleway called the ‘Liverpool Loopline Path’, part of the Trans-Pennine Trail, was created through the site of Clubmoor station. The up platform access ramp was used as part of the path. Tickets by Michael Stewart, and Bradshaw by Nick Catford. A Southport Lord Street train arrives at Clubmoor in the summer of 1929. A large group of local residents wearing their best clothes prepares to board the train for a day out at the seaside. 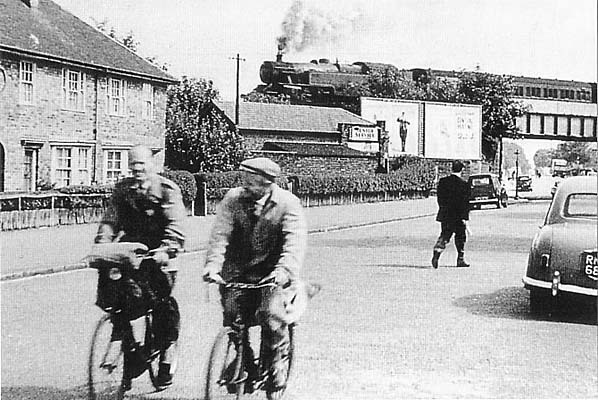 At the head of the train is LNER locomotive No. 5695. The locomotive was built in August 1895 for the Great Central Railway at Gorton works. This Pollitt-designed D5 Class, 4-4-0 was one of only six built and lasted only until withdrawal from Walton-on-the-Hill shed. It was cut up shortly after. All of the class had been withdrawn by the end of March 1933; the last withdrawal was 5699. More information on the class of locomotive can be seen by clicking here. 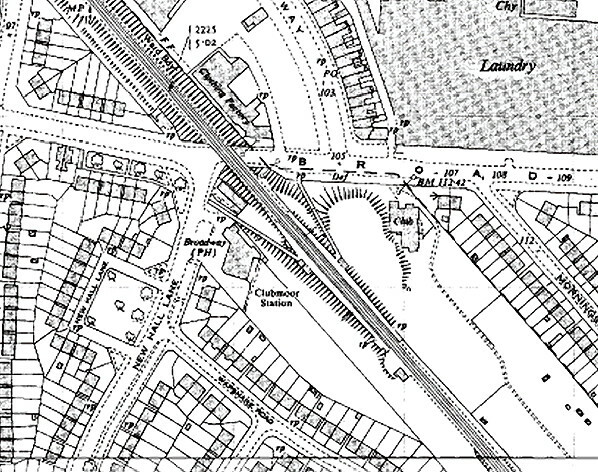 Clubmoor station shown on a 1951 map. 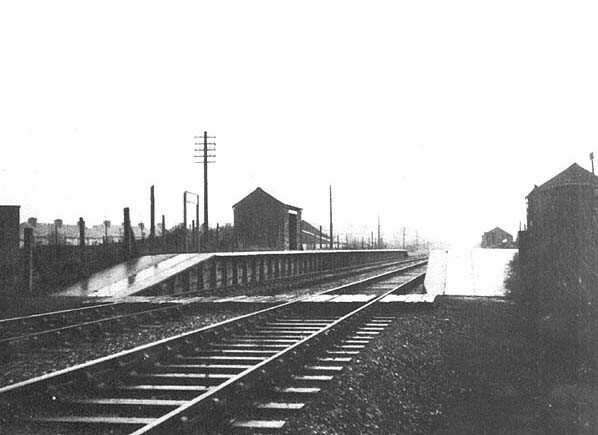 Looking south at Clubmoor station on a wet day in the early 1950s. The photograph clearly shows the simple facilities that were provided at Clubmoor. A view looking east along Broad Lane in the 1950s. Clubmoor station was to the right of the bridge out of view. A train for Aintree Central can be seen pulling away from the station. 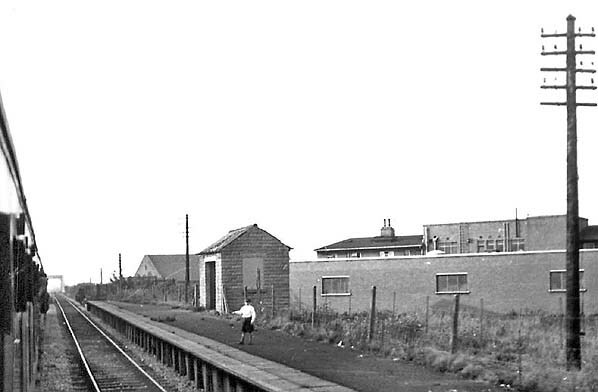 The up platform at Clubmoor station seen from a passing train in the early 1960s. The station had closed by this time and its nameboards had been removed. A local boy watches the train pass. The service was probably a Southport Chapel Street excursion. 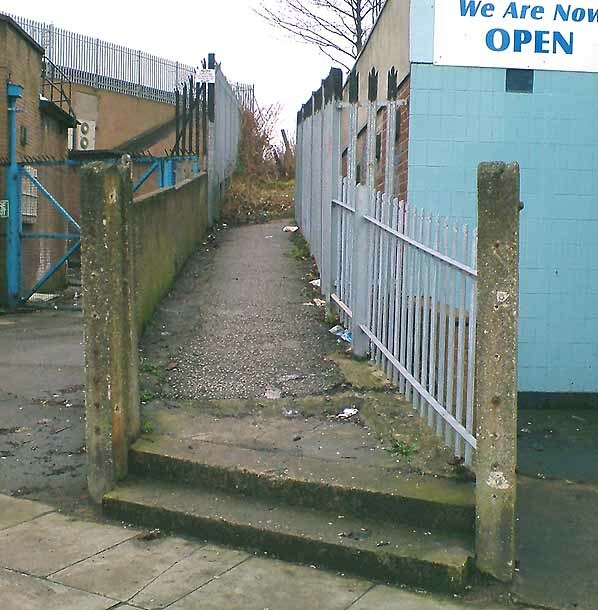 The entrance gate to the up direction platform at Clubmoor station in February 2005. The entrance to Clubmoor station looking south-east on 29 December 2012. The red brick wall was part of the station. Behind the lamp post can be seen the gateway that led to the down direction platform. The booking office was on this side of the line.